What makes a life truly interesting? Is it the people you meet? The risks you take? The adventures you remember? Jonathan Goldsmith has many answers to that question. For years he was a struggling actor in New York and Los Angeles, with experiences that included competing for roles with Dustin Hoffman, getting shot by John Wayne, drinking with Tennessee Williams, and sailing the high seas with Fernando Lamas, never mind romancing many lovely ladies along the way. 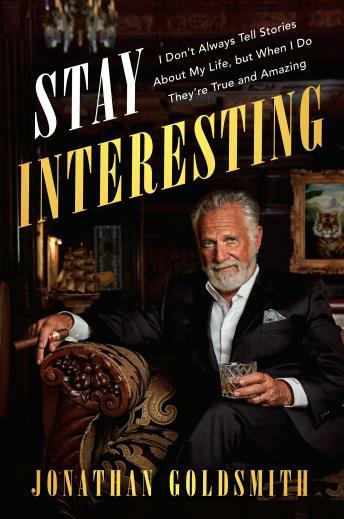 A memoir told through a series of adventures and the lessons he’s learned and wants to pass on, Stay Interesting is a truly daring and bold tale, and a manifesto about taking chances, not giving up, making courageous choices, and living a truly adventurous, and always interesting life.